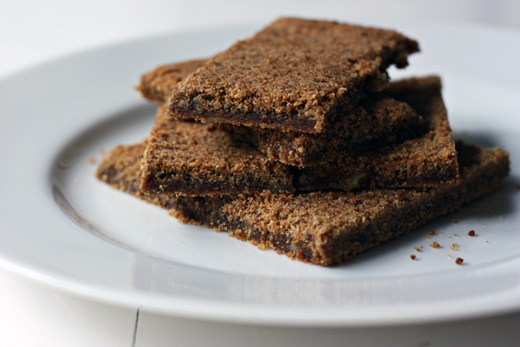 As you can see, this is no ordinary gingerbread; it's really more like an intensely ginger-flavoured shortbread topped with sandy, sugary, gingery crumbs. It's been made since the 1850s in the tiny Lakeland village of Grasmere, famous as the home of William Wordsworth (and also sometimes Coleridge, and also that dandy junkie, Thomas de Quincey). 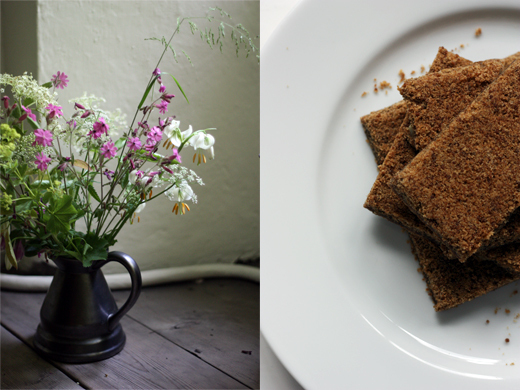 The shop that sells it - which used to be the village school - is tucked into a corner of the churchyard where Wordsworth sleeps, and surrounded by the delicious fug of baking gingerbread. It seems drastic to say that this is the best gingerbread I've ever eaten, but it is. The recipe's a secret, of course, but Jamie Oliver has a version here. Alternatively, you can mail order it here. The best thing, of course, would be to visit and eat it fresh. Wildflowers in Wordsworth's House, Dove Cottage. I love gingerbread.. that looks just too good! This looks amazing! Gingerbread is too delicious! 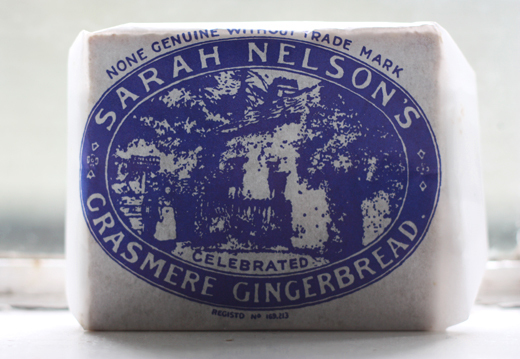 Hi Philomena and thanks for the reminder of this fantastic gingerbread - easily the best I've ever tasted as well. It was a cold, blustery day that I wandered the tiny church plots of Grasmere after a visit to Dove Cottage and suddenly found myself enveloped in the warm, spicy scent of the bakery. The fresh-baked loaf was moist and perfectly crumbly at once, and I was toasty again with the first bite. Ahhh... so good! Can't wait to try this recipe out and send myself back to Ambleside again.